Visiting Tien Giang, a land of the Mekong Delta, you will be satisfied with what this place brings. 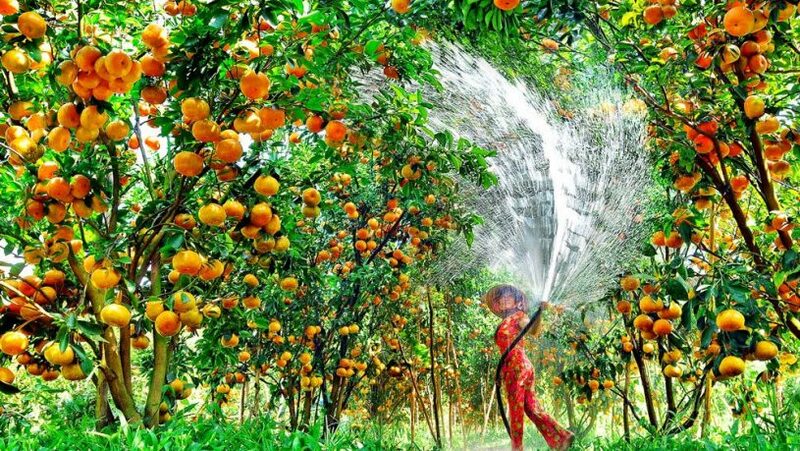 Tien Giang owns many tourist attractions with many fruit gardens as well as impressive destinations. This place is a notable place for tourists. Visitors can see the two-day Southwestern tour for your reference. Today, we would like to introduce to tourists a few highlights in Tien Giang that you cannot ignore. First, we would like to introduce Vinh Kim fruit garden. Vinh Kim fruit garden is one of the two largest fruit ones of Tien Giang. Vinh Kim fruit garden brings the rusticality and tranquillity of a quiet countryside. Come here to visit, tourists will enjoy what it brings to you. This place provides specialty fruit for Tien Giang. Many visitors come here to visit and enjoy fruit. 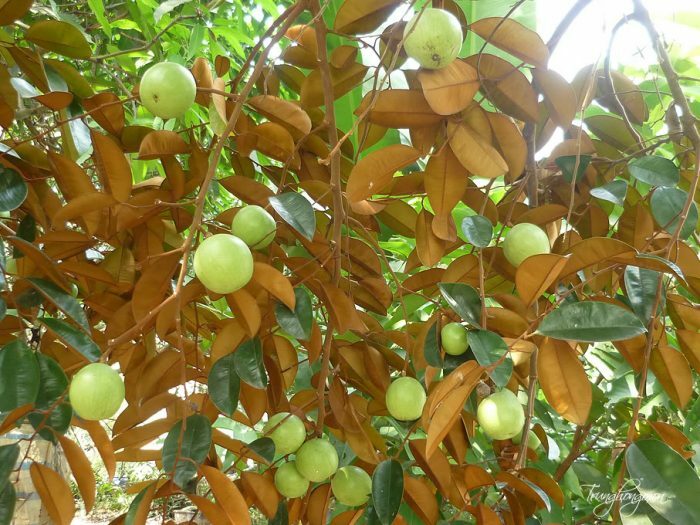 Visitors to the Vinh Kim fruit garden visit will feel the cool, fresh air and smell a lot of scents of many different fruits that makes visitors irresistible. At Vinh Kim garden, visitors will be introduced how to grow and care for some types of fruit. Especially, visitors will have a chance to enjoy star apple with sweet taste in the garden. Tourists can choose bicycles or boats as a means of transportation to visit the garden. Tourists can pick up fruits on the tree and enjoy them freely. In addition to enjoying the fruits here, tourists can also enjoy the cuisine of this region. Vinh Kim fruit garden is truly a destination for visitors. Visit here to experience the feeling of directly picking fresh fruit on the tree to eat. When visiting the fruit gardens Vinh Kim, tourists are immersed in the lifestyle of people here. It will make an unforgettable impression to visitors once coming here. Next, we would like to introduce Cai Be garden in Tien Giang. Cai Be gardens are located along the northern bank of the Tien River, in Cai Be District, Tien Giang Province. Cai Be gardens is a fertile land which produces a lot of exported fruits. Cai Be is not only the largest fruit producer in the Mekong Delta, but also the destination of many international visitors. 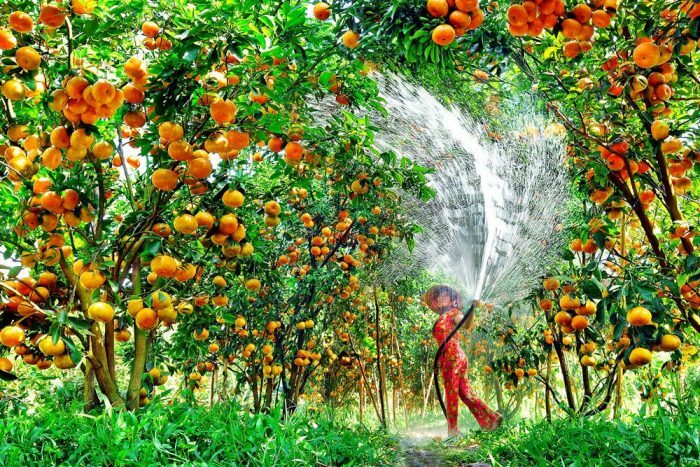 In Cai Be, there are many kinds of fruits that are guaranteed top quality. 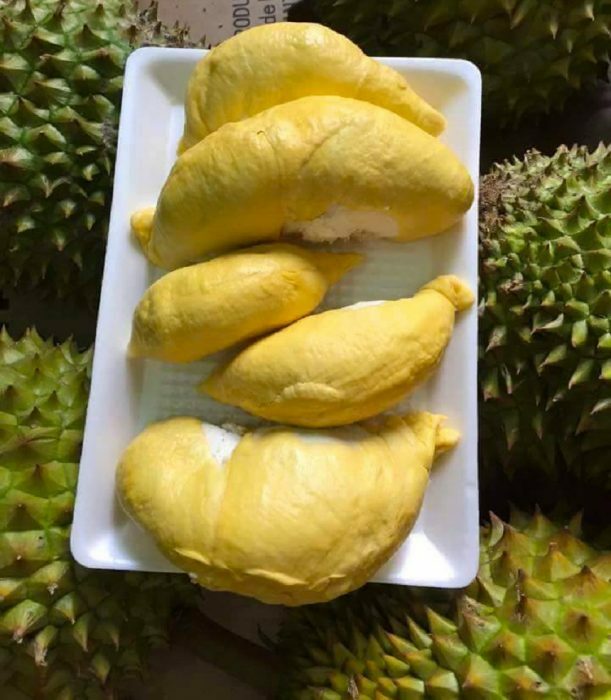 The famous fruits are durian, longan, grapefruit, pink grapefruit, durian, Hoa Loc mango, … etc. And many other garden fruits are planted here, which attracts a great number of local and foreign tourists. 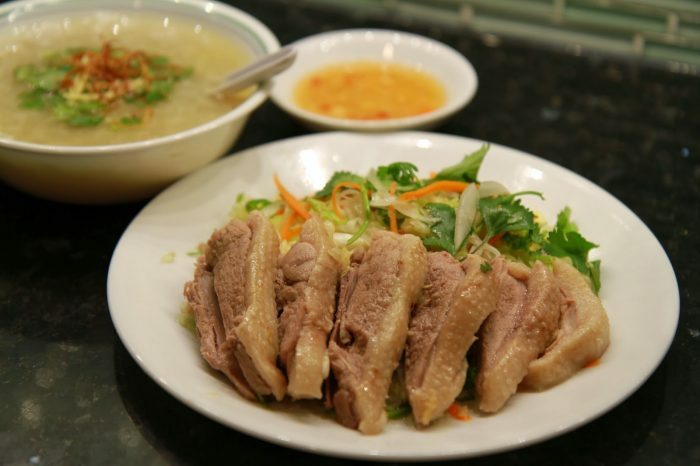 The garden also serves specialties of the South such as: fried fish, snakehead fish with rice rolls, chickens with fresh spinach, duck porridge … ect. All of them are Southwestern dishes. Visitors will remember forever once enjoying. Cai Be gardens deserve to be the leading destination in the Southwestern tour. Come to visit this place to be able to feel the beauty and enjoy the fruits as well as specialties of this region.